Follow Clover Valley Dr and Willow Terrace Dr to Spring Lodge Dr. Turn right onto Clover Valley Dr. Turn left onto Gladehill Dr. Turn right onto Willow Terrace Dr. Turn right onto Spring Lodge Dr. Destination will be on the right. Hello, I’m interested in 5631 Spring Lodge Drive and would like to take a look around. 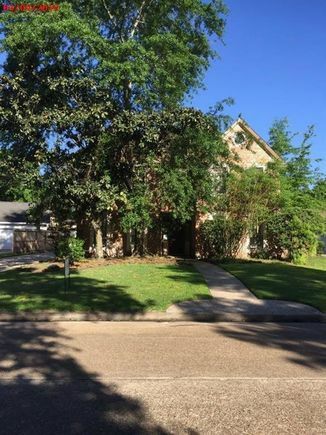 The details on 5631 Spring Lodge Drive: This house located in Sand Creek Village, Houston, TX 77345 is currently for sale for $349,900. 5631 Spring Lodge Drive is a 3,075 square foot house with 4 beds and 2.5 baths that has been on Estately for 8 days. 5631 Spring Lodge Drive is in the Sand Creek Village neighborhood of Houston and has a WalkScore® of 28, making it car-dependent. This house is in the attendance area of Riverwood Middle School, Deerwood Elementary School, and Kingwood High School. Listing Courtesy of: HAR and Trillionaire Realty.